The weekend’s looking gorgeous for diving this weekend – whilst a little blowy, it’s all Easterly’s which means it’s great for us divers. We’ve got plenty coming up at Perth Scuba including a visit from one of the world’s Technical Diving guru’s on Friday evening, plus our upcoming Albany Weekender and Maldives Tour Information Night. Plus of course our free Sunday morning club dives and Wednesday night dives – so don’t miss out, come on in and enjoy some diving! Planned for 18th February 2011 and hosted at Perth Scuba in our NEW Presentation Theatre. Starting at 6:30 p.m., a specially prepared program will see presentations by Alex Boulton with breaks and plenty of time for questions. Alex is no newcomer to technical diving and is a Technical Consultant within PADI’s Technical Diving Division. Seriously a must for those interested in getting into Tec, the evening promises to be both educational and provide an opportunity for local Tec divers to network socially PLUS meet the Instructors. Divers from other Tec agencies are especially welcome since the program will include a short discussion on cross over opportunities. Everyone with an interest in Technical Diving is welcome to join us at Perth Scuba, 180 Bannister Road, Canning Vale on Friday 18th February @ 6:30pm. Give us a call on 9455 4448 or email [email protected] to let us know you’ll be there! ALBANY DIVE WEEKENDER – hurry only two places left! The Perth Scuba Crew is headed to Albany for a fun filled weekend of Diving and Partying on the HMAS Perth! It’s going to be an AWESOME weekend, so if you’ve ever wanted to dive the Perth or would love to again – book on now or you’ll miss out! Saturday Night BBQ – YUMMY! Your weekend costs only $400 when you show your Manta Club Member Card. Western Australia added to its reputation as one of the World’s premier year-round dive destinations when the decommissioned Perth was scuttled in the pristine waters of King George Sound in Albany in late November 2001. The sinking of the former Perth follows the highly successful scuttling in 1998 of the former Swan which has attracted over 20,000 divers to Dunsborough in the State’s South West. Combining the former Perth and Swan dive sites with the world’s largest dive wreck, Sanko Harvest in Esperance, creates a perfect Southwest dive triangle. The former Perth is a 133-metre long guided missile destroyer with a distinguished service record. She came under fire on four occasions during the Vietnam war and remnants of shellfire will be visible to divers on the interpretive dive trail. Get your PADI Deep Diver Specialty – Only $175 more! You save $150 when you complete your course whilst on our Albany Weekender – PLUS you get to enjoy 2 dives on the HMAS Perth wreck! Your course includes your PADI Text Books, Project Aware donation, all your Instruction, PADI certification card and the best Instructors around from Perth Scuba! Don’t miss out on this fun weekend. Give us a call on 9455 4448 or email [email protected] to secure your place with a deposit. It’s going to be an awesome weekend, we look forward to seeing you there!!! TUESDAY 1ST MARCH 2011 @ 6:30PM – SEE WHAT THIS HOLIDAY HAS TO OFFER! Maldives is home to one of the world’s most beautiful areas of marine life for scuba diving. The perfect way to witness this beauty is to plunge into the warm unspoilt blue waters. Diving sites in the Maldives are widely scattered. While resort island based guests only have access to a limited number of good diving Maldives spots: a far greater number can be reached on a liveaboard in Maldives. This is unquestionably the best way to see the magnificent underwater world of the Maldives. So why not join our Perth Scuba Tour Leaders Steve & Glenn on this magnificent dive and live aboard holiday, departing 30 August 2011. 7 nights, 3-4 dives per day, all flights ex-Perth, your charming tour leaders Steve & Glenn, airport transfers, twin share accommodation on board the MV Amphibiya vessel, tanks, weights, air fills and FREE NITROX, 7 nights on board the MV Amphibiya, unlimited tea/coffee, drinking water, biscuits, all meals, full day use of the vessel on last day until departure. If you’ve ever thought about heading to the Maldives for a holiday, then feel free to come along to our FREE INFORMATION NIGHT on TUESDAY 1ST MARCH. The tour leaders will show you exactly the kind of diving to expect, the luxury accommodation and all the other fun things you get to experience. Email [email protected] or call 9455 4448 to let us know you’ll be there. Join the Perth Scuba Crew for a FREE Club Dive! Meet at Perth Scuba in the morning for your FREE BBQ breakfast of sausages in a bun. It’s looking to be a lovely and sunny day out with the crew. There’s an easterly blowing through – so it should be lovely and flat for you! Look forward to seeing you in the morning. Last weekend we headed to the Ammunition Jetty, click here for some of the photos from the day. BEST PHOTO ON THE NIGHT WINS A PRIZE!!! Meet the Perth Scuba Crew at the dive spot of the evening. Call us on 9455 4448 on Wednesday afternoon to find out where we’re headed! It’s sure to be somewhere you should be bringing your camera!!! 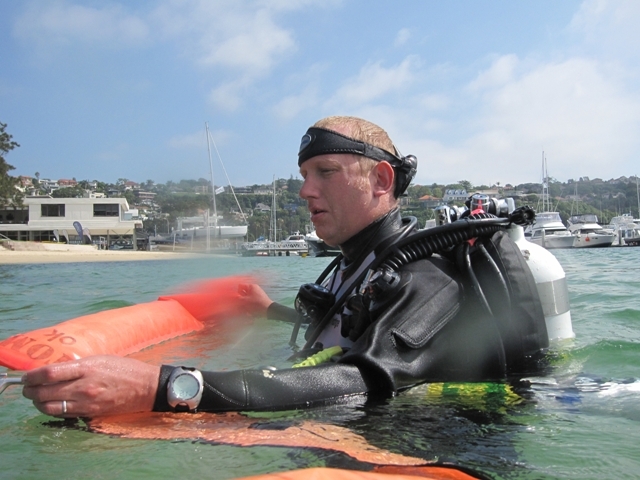 Join us at Perth Scuba for an evening with PADI Technical Diving Guru – Alex Boulton. This evening is for anyone who’s ever thought about Technical Diving or is already a Technical Diving. Alex has some great stories to tell and will be able to give you direction on where your diving can take you. Join the Perth Scuba Crew on a fun filled weekender diving the HMAS Swan wreck. Enjoy 4 boat dives on the HMAS Perth and diving at Seal Rock and the Cheynnes III wreck. You can even get your Deep Diver Specialty for only $175 more! That’s a saving of $150 PLUS you get to enjoy it in Albany! Come and meet the Tour Leaders of Perth Scuba’s Maldives Tour and see what you’ll enjoy on this awesome trip diving the Maldives. Upcoming course starts: ON NOW!